Is Shade 51 (Cool Tea) right for you? 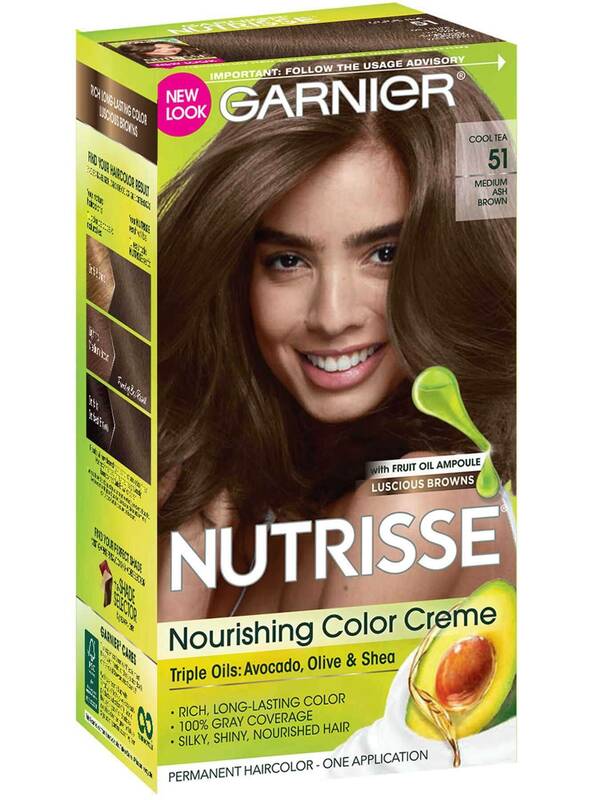 Garnier Nutrisse Medium Ash Brown 51 (Cool Tea) is a medium brown shade with cool, ashy tones. It provides 100% gray coverage and is best for anyone with natural hair between dark blonde and darkest brown. If you prefer a lighter shade that reflects similarly, try shade 61 (Mochaccino). For a darker shade, try shade 415 (Rasberry Truffle). If you'd like to remain in the medium brown range but would like to explore other reflects and tones, there are many shades to choose from including 50, 53, 535, 54, and 56. *For women with currently color treated hair, there are special considerations for the color result you can achieve. Because of this, we do not recommend shade 51 (Cool Tea) for hair that has been previously colored Darkest Brown 30 (Sweet Cola) or darker. For more help, use our Shade Selector Tool to find the perfect shade for you! Nutrisse Colorant: Aqua/Water, Cetearyl Alcohol, Propylene Glycol, Deceth-3, Laureth-12, Ammonium Hydroxide, Oleth-30, Lauric Acid, Hexadimethrine Chloride, Glycol Distearate, Polyquaternium-22, Ethanolamine, Silica Dimethyl Silylate, Ci 77891/Titanium Dioxide, 2,4-Diaminophenoxyethanol Hcl, M-Aminophenol, Ascorbic Acid, Sodium Metabisulfite, Dimethicone, Pentasodium Pentetate, N,N-Bis(2-Hydroxyethyl)-P-Phenylenediamine Sulfate, P-Phenylenediamine, Parfum/Fragrance, Carbomer, Resorcinol, Vitis Vinifera Seed Oil/Grape Seed Oil. F.I.L. D35193/3. Fruit Oil Concentrate: Paraffinum Liquidum/Mineral Oil, Vitis Vinifera Seed Oil/Grape Seed Oil, Parfum/Fragrance, Tocopherol, Rosmarinus Officinalis (Rosemary) Extract. F.I.L. D25829/5. Rinse-Out Conditioner: Aqua/Water, Cetearyl Alcohol, Elaeis Guineensis Oil/Palm Oil, Behentrimonium Chloride, Pyrus Malus Extract/Apple Fruit Extract, Glycerin Parfum/Fragrance, Stearamidopropyl Dimethylamine, Niacinamide, Pyridoxine Hcl, Butyrospermum Parkii Butter/Shea Butter, Citric Acid, Olea Europaea Oil/Olive Fruit Oil, Saccharum Officinarum Extract/Sugar Cane Extract, Benzyl Alcohol, Chlorhexidine Dihydrochloride, Persea Gratissima Oil/Avocado Oil, Ribes Nigrum Oil/Black Currant Seed Oil, Linalool, Citrus Medica Limonum Peel Extract/Lemon Peel Extract, Ci 19140/Yellow 5, Camellia Sinensis Extract/Camellia Sinensis Leaf Extract, Ci 15985/Yellow 6. F.I.L. D35637/3. Nutrisse Developer: Aqua/Water, Hydrogen Peroxide, Cetearyl Alcohol, Trideceth-2 Carboxamide Mea, Ceteareth-25, Glycerin, Pentasodium Pentetate, Sodium Stannate, Tetrasodium Pyrophosphate, Phosphoric Acid. F.I.L. D12836/26. Rated 1 out of 5 by Sage13 from Opposite effect I bought this to try to cover some of the red tones that were put into my hair from a previous garnier box dye, and lighten it to my natural color. The picture on the box was exactly what I wanted, however the dye instead made my hair darker, with so much red it actually looks kind of burgundy now. Super disappointed. Rated 5 out of 5 by TerryGDesigner from Toned out the orange I bought this in hopes of fixing the orange tone I got after a bad dye job. It definitely did the trick and also blended out my roots as well. I included both photos so you can see the before and after. Of course it would have been great to get a true ash color after my first dye, but my hair was so orange/red that I couldn't expect perfection. I am very happy with the results and I will but this color again! 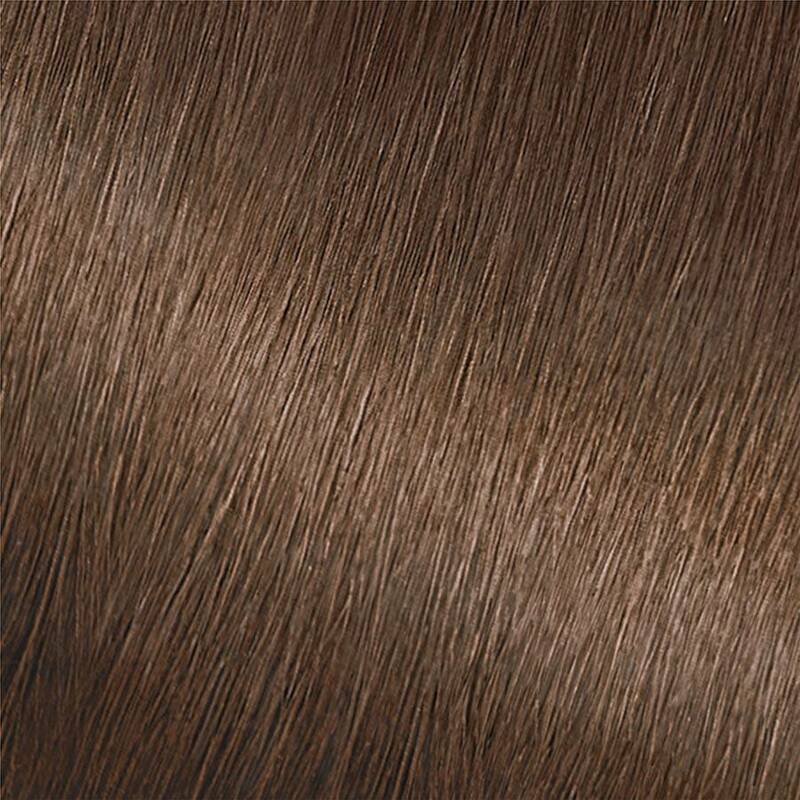 Rated 2 out of 5 by BlackBunny from Nice, but it's mahogany brown, not ash brown If you want mahogany brown hair with a lot of red undertone, this is a perfect color for you. Sure, the hair looks nice and shiny but I bought this specifically because it's supposed to be an ash brown color (I'd never go for red undertones, not in a million years). Formulation is great, applying is easy, hair is soft and shiny after dying, so Garnier, why don't you just change the name of the color. It's not ash brown. Rated 1 out of 5 by Amy A from Nit thrilled w/this product at all! 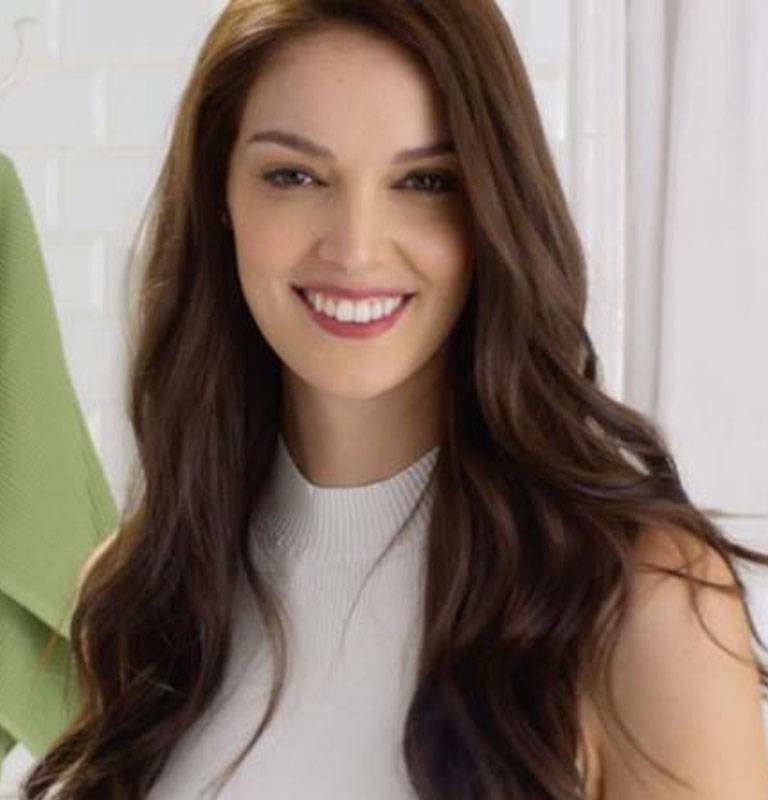 I had very dark black hair but i had been using B1-Cool Brown Iced Macchiato for 5+ years and it gave me a beautiful light-dark brown color whch i looooved! But since Iced Macchiato is discontinued, i was recommended this Ash Brown shade which made my hair kind of black again and i dont like it all!! Any recommedation on which shade i should use to get that light/dark brown color back? I miss Iced Macchiato SO much!! Please help!! Rated 2 out of 5 by Hair321 from Brassy red tone The darkness seems to be right but it left a brassy red tone to my hair. I certainly wouldn't classify this as an "ash" or "cool" color. The application was so easy I really wanted to like this! Rated 5 out of 5 by Carla8993 from Great Color This color covers my gray and is a cool tone that does not go brassy. Ashe colors look more natural on me. Rated 2 out of 5 by Creative one from I don't like it The color is pretty but I dyed my hair last night, & as I was combing it, I noticed my roots are light than my hair. Its like a brassy color. My hair was dark but still. I miss Garnier ultra color B1 Cool brown. I liked that better. I wish you guys can make garnier ammonia free, & it also made my hair feel dry like.